Local Authorities and hundreds of graffiti removing professionals from all over the World. Plastic and Polycarbonate safe easy-off graffiti remover sprays will safely clean graffiti from bridges and subways, busses and trains, buildings and shopping centres and stone and brick walls. 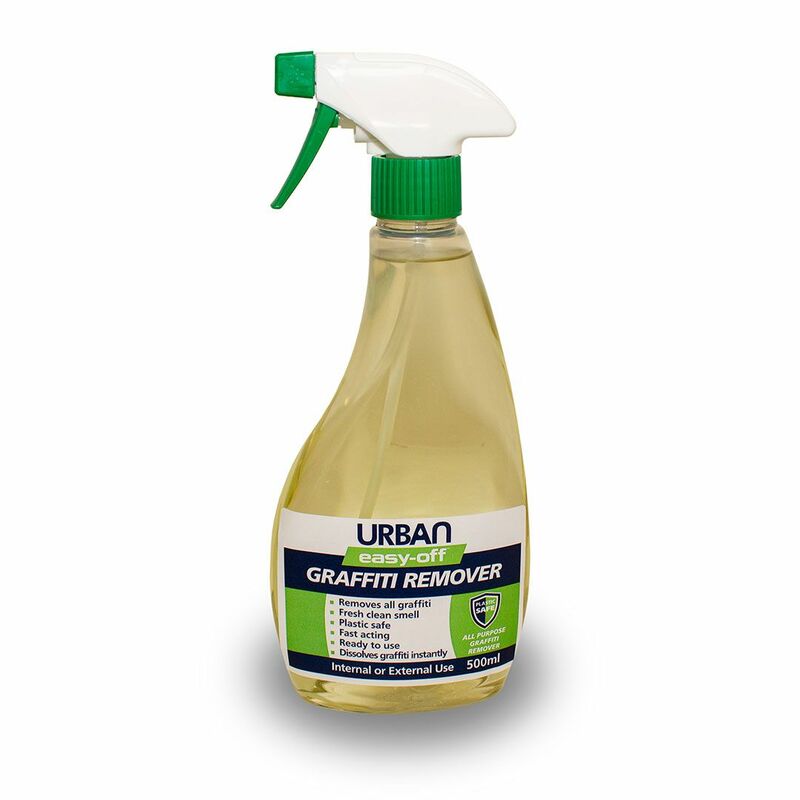 Biodegradable and not tested on animals easy-off safe graffiti remover is the graffiti removal product to reach for first when tackling graffiti. Bulk Grafitti Remover | 5 or 25 Litre containers of Easy-off graffiti removing chemical | Safe to decant into your own sprays | Erases fresh graffiti quickly from most surfaces. Buy Anti-Graffiti Wipes in bulk online | 15 graffiti wipes per sachet in packs of 25 or 50 (375 / 750 individual wipes) | Graffiti wipe sachets are pocket sized & resealable | Powerful but safe formulation | Ideal for smaller graffiti removal jobs.